Prosecco Cartizze is undoubtedly the most prestigious variety of Prosecco. DOCG* Certified. 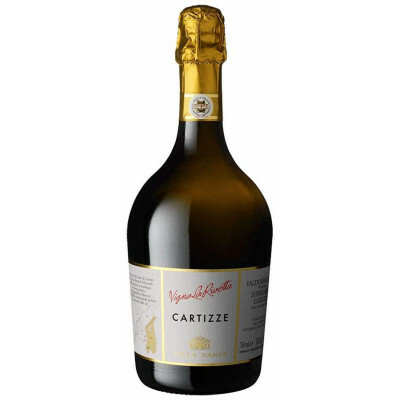 Cartizze is a small hilly area with 106 hectares of vineyard lying between the districts of Santo Stefano and S. Pietro di Barbozza in the municipality of Valdobbiadene. Within such area lies 'La Rivetta' vineyard owned by Villa Sandi. 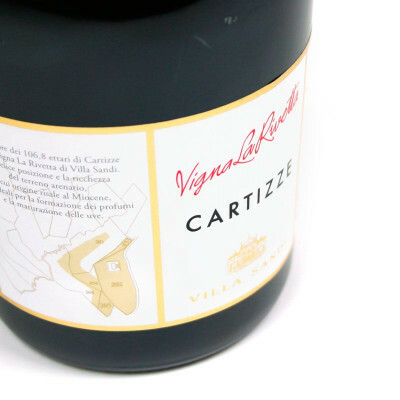 A true cru that is the result of a perfect combination between a gentle microclimate and a very old land with calcareous sandstones and clays. Bright straw yellow with intense and persistent perlage. Fruity aroma after yellow apples and exotic citrus fruits. Fresh fragrance, dry and tart, but pleasantly soft. DOCG* Certification: This classification denotes the highest quality recognition for Italian wines. In addition to the conditions required for DOC, the wines must be "guaranteed" by passing an analysis and a tasting by government-licensed personnel before being bottled. Also, DOCG rules reduce the allowable yield of grapes to produce the wine, limit specific alcohol levels, and minimum aging requirements. Glera 100%. IT MAY CONTAIN SULPHITES. Abv 11.5%.